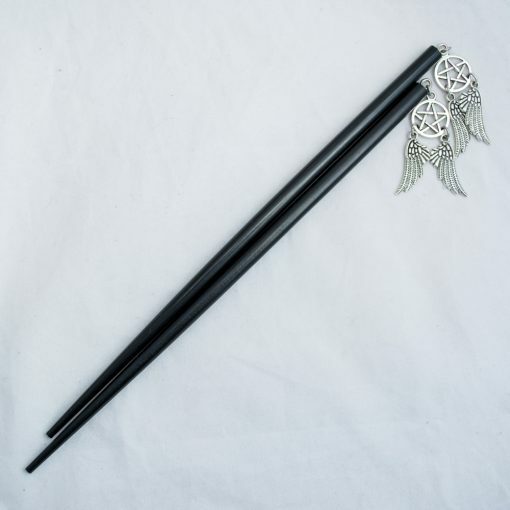 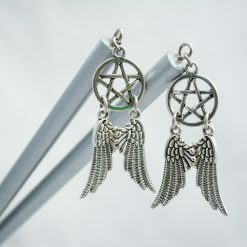 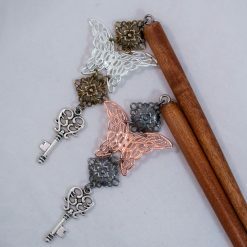 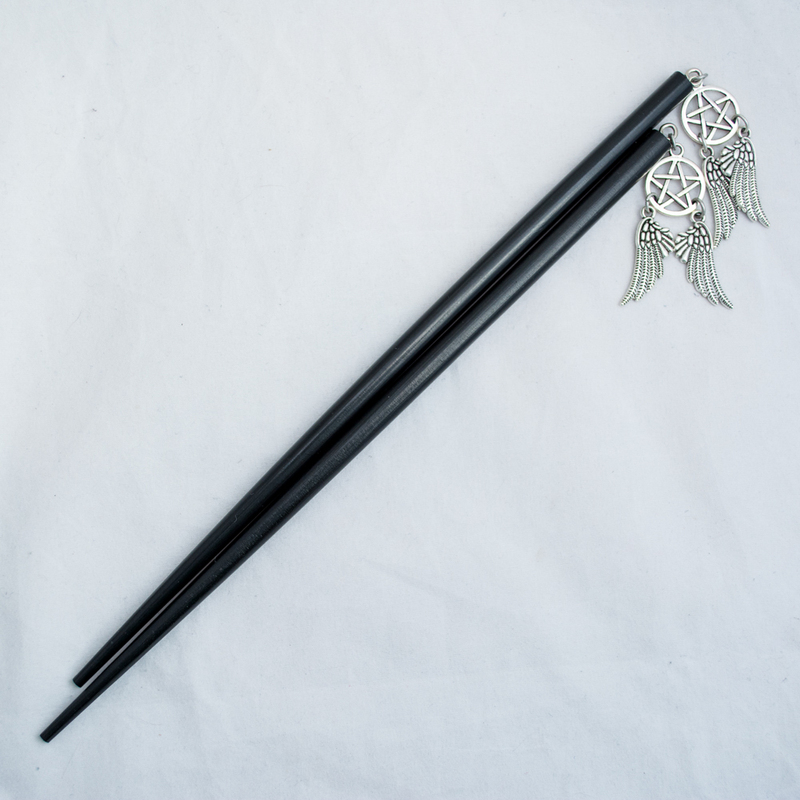 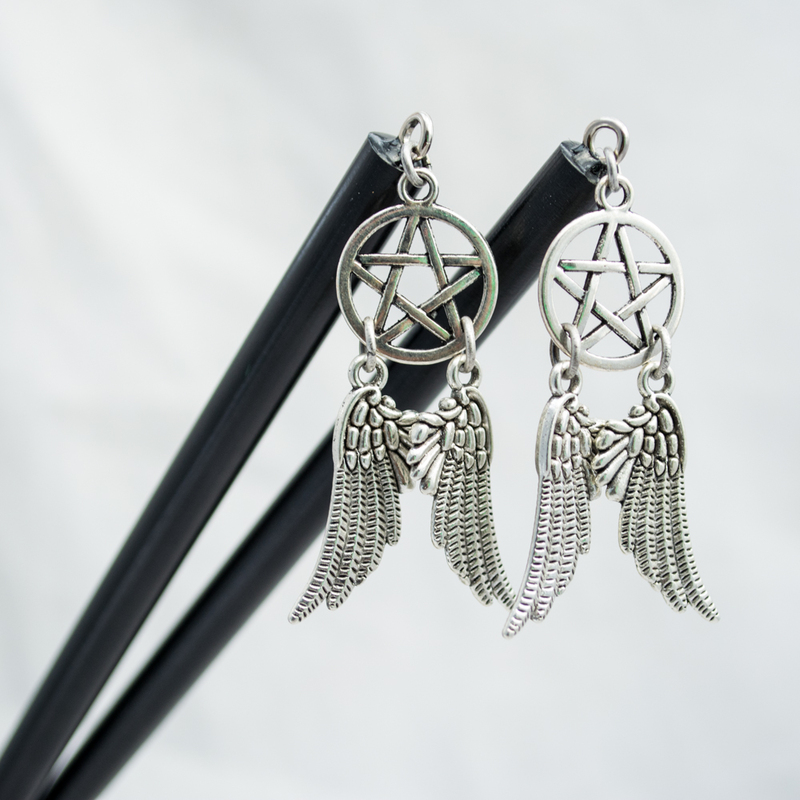 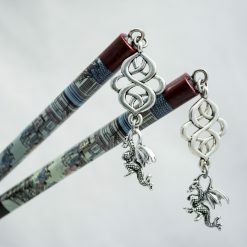 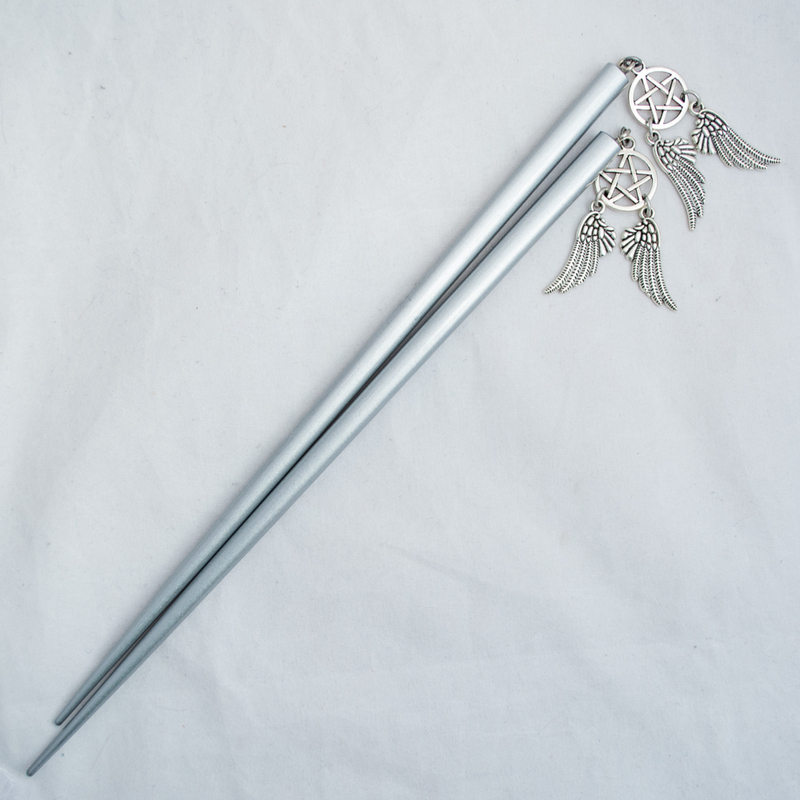 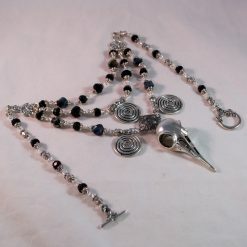 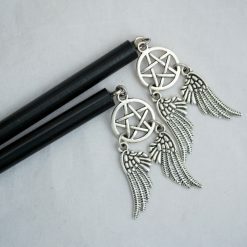 Zinc alloy pentacles and wing charms on black or silvery wooden sticks. 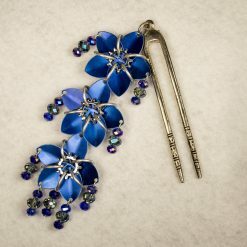 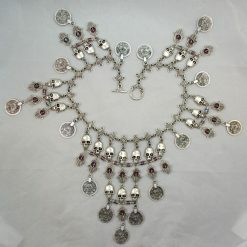 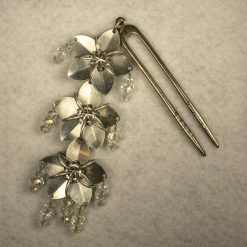 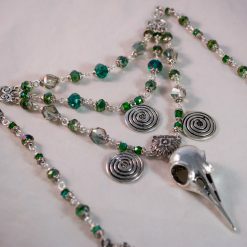 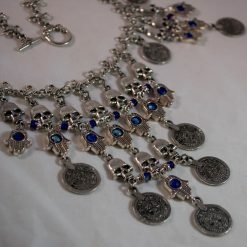 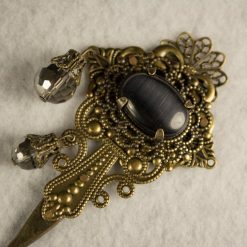 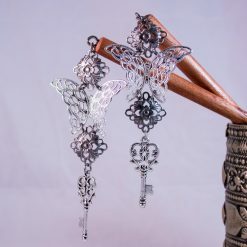 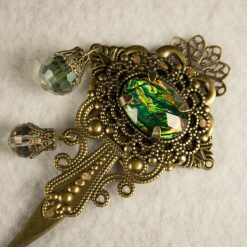 Each dangle is 5cm (or about 2″) long from top to bottom. The sticks are 21 grams a pair (or about the weight of four nickels) and are each 9″/23cm long.